If you think that everything has already been invented, it’s high time to have a chat with us. We take a fresh look at every design project. We always manage to come up with something new, even for ubiquitous run-of-the-mill consumer items like pens, soap dispensers or teaspoons. 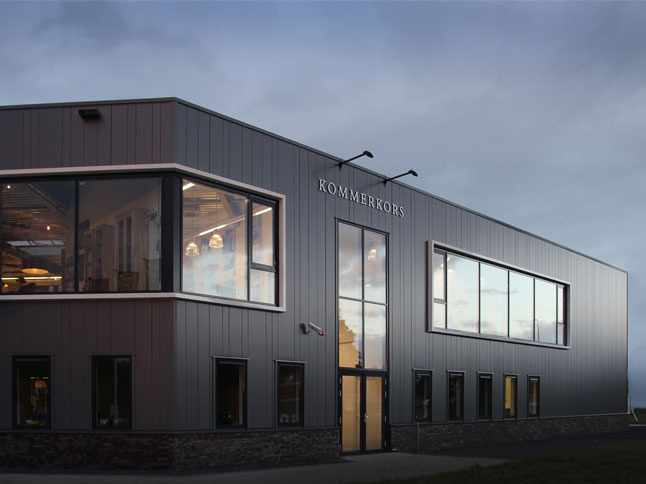 For more than fifteen years, the Dutch designers of Kommerkors have been a welcomed presence at clients who combine quality and market leadership with remarkable and innovative designs. For instance, for Albert Heijn, the leading food retailer in the Netherlands, we designed the Hup Holland Hamsters (2014 World Cup) and Beesie (2010 World Cup). For contract furniture manufacturers Casala, we designed a conference chair that has garnered a Red Dot Design Award. And for Royal Dutch Auping we created a whole new range of superior bedding. Success is in the details: a remarkable design, new functionality and the ability to produce large-scale orders at low cost. From the very first contact, we take into account all the factors that determine the success of the design. Within the parameters, budget and time limit set, we devise possibilities that others don’t see. In technically complex assignments, we are often asked at the first stage to think of a basic idea. We then work intensively with the producer, who takes care of the engineering. We like to think of ourselves as an extension of your company, not as the opinionated designers who think they know everything better. That stands to reason, because you know your products and your market better than anyone. And we know the possibilities to perfectly connect to that with a design that makes a lasting impression. 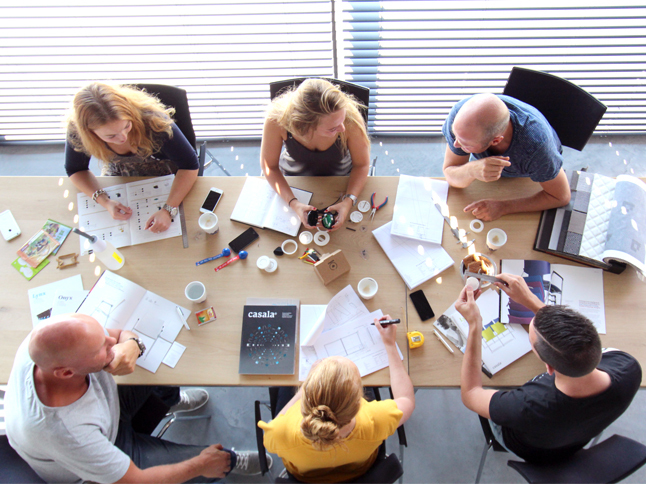 We are a flexible design studio, located in Schoonhoven – between Rotterdam and Utrecht. Our founders are Ewalt Kommer and Jeroen Kors, both born in 1969 and graduates in industrial product design from The Hague University of Applied Sciences. Our flexibility is reflected in the speed with which we shift gears and make decisions. We have access to a wide network of freelancers, graphic designers, advertising agencies and manufacturing companies in Europe and Asia. So we can give you optimum service. Design is not just a matter of taste. Our products have character. They distinguish themselves from all other existing products. That’s where our strength lies. We are often asked: What is your specialisation? Our answer: We specialise in thinking up surprising designs, be it in industrial design or 3D products, for a wide range of customers who want to distinguish themselves in a competitive market. In other words, for you. Our design studio has been honoured with awards on several occasions: in 2003 with the Dutch Design Award, in 2008 with a Red Dot Design Award for the Lynx chairs by Casala and “our” Hup Holland Hamsters for Albert Heijn were proclaimed the best World Cup campaign in 2014 by BNR News Radio and the sports marketing agency Triple Double. The Soap Belly by Cleverline was nominated in 2010 for the Dutch Design Awards.